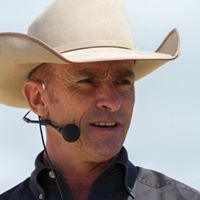 Van Hargis is a master horseman who not only knows how to clearly communicate with horses but can also pass that knowledge on to other humans. Yep, you guessed it, another Texan. Van competed in the Road to the Horse competition in 2005 and 2006. He does clinics across the country at many of the horse expos and fairs, and he holds clinics wherever anyone needs him. Van Hargis and I have something in common besides horses. Van hosts the Ride Every Stride Podcast with his friend and fellow podcaster, Laura McClellan. Laura hosts a podcast called The Productive Woman to complete the chain. Van has a couple of unique offerings that can definitely up your horsemanship. His Top Hand program is inexpensive and easy-to-use. If you’re interested in finding out more about Van Hargis and the information he has to offer, check out VanHargis.com. Was it the movie “Glengarry Glen Ross” where the line “Always be closing.” came into being? It means always be aware of your goal. For a car salesman, you want the sale. For a horse owner, it means every interaction with your horse is a training experience. While we may want the warm, fuzzy relationship with our horse, from the horse’s perspective, HE is always looking for his place in the pecking order. Don’t worry, there will be times when that warm, fuzzy relationship can be enjoyed, but be aware training opportunities are everywhere. Each time you move around your horse, you are training him or he is training you. One of the key times this happens is at feeding time. At our house, our horses are behind our home and they see me come out in the morning to feed. I noticed my mare was getting demanding. She wanted to be fed first. She would kinda kick up and run around her pen throwing a temper tantrum. At first, I thought this was cute, “Oh, look at her acting all spoiled.” I was new to learning about horsemanship and didn’t realize that feeding her in response to the tantrum was not only encouraging this behavior, I was asking for it to escalate. Now, I don’t think it matters what kind of animal you are, human, horse or armadillo, it’s not a good idea to wake up in the morning and go ape$&!^ running around. Your muscles are tight and cold. Sure enough, my mare injured herself throwing a tantrum and needed rest before I could ride her again. This led to her being even more spoiled. Like most problems, it’s better not to let them get started than to have to fix them later. Now, you’ll have to decide how safe your horse is around feeding time, but here is how I solved my problem. 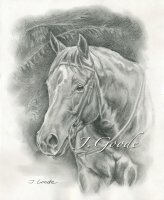 When my mare was healed, I started with the evening feeding. I do a lot of groundwork with my mare and use a stick and string during my training. I took a little feed into the center of her pen and then began to work her. At first, she was only focused on the feed. Once I got her moving around, I began to change direction. When she was focused on me and the directions I was giving, I yielded her hindquarters and let her rest. If she made a move to the center for the feed, I sent her off again at a trot. It didn’t take her long to realize who was in charge of the food. When she stood quietly looking at me and not moving to the feed, I called her to the center to eat. A few days of this and she began to realize, even when I was throwing the feed over the panels, that she was only going to get it when she stood quietly. Remember, you may let your guard down and not think that your actions or movements are training, but your horse is ALWAYS aware of his environment. That’s how he has been able to survive for 55 million years. Growing up in Australia a young Warwick Schiller was hungry for horse news and studied Western Horseman magazine like he was cramming for a final. He says that even today if you show him a cover from the 70’s he can likely tell you one of the articles inside. Yet he began his working career as a banker. It was on a sabbatical from banking that Warwick came to America and found a job working for a reining trainer. 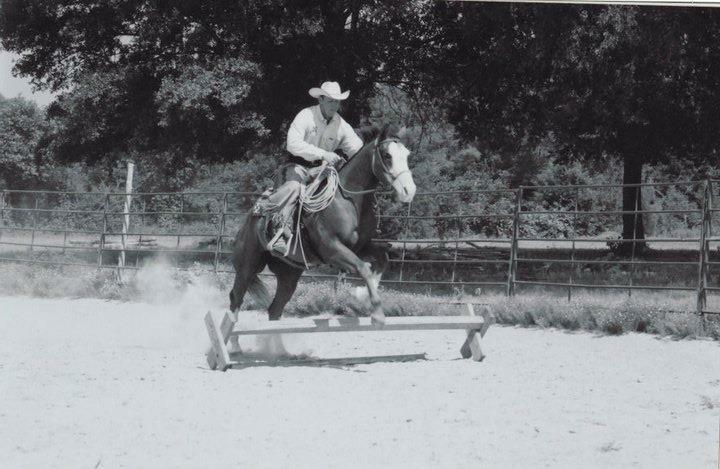 Working with a reining trainer gave Warwick the foundation he needed to become a clinician. Now, Warwick Schiller travels the world giving clinics and demonstrations on his unique style of horsemanship. I really enjoy talking with Warwick. He studies everything. Philosophy, efficiency, psychology are just a few of the areas Warwick explores to learn more about horsemanship. Warwick Schiller will be one of the speakers at the Best Horse Practices Summit in the fall of 2017. 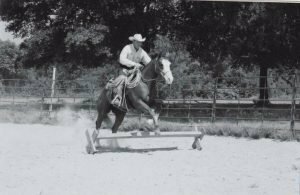 Best Horse Practices explores the principles of Evidenced-based Horsemanship. Warwick Schiller has a new TV program on Farm & Ranch TV (available on ROKU) called The Principles of Horsemanship. It’s here where Warwick talks about the difference between learning techniques and principles. 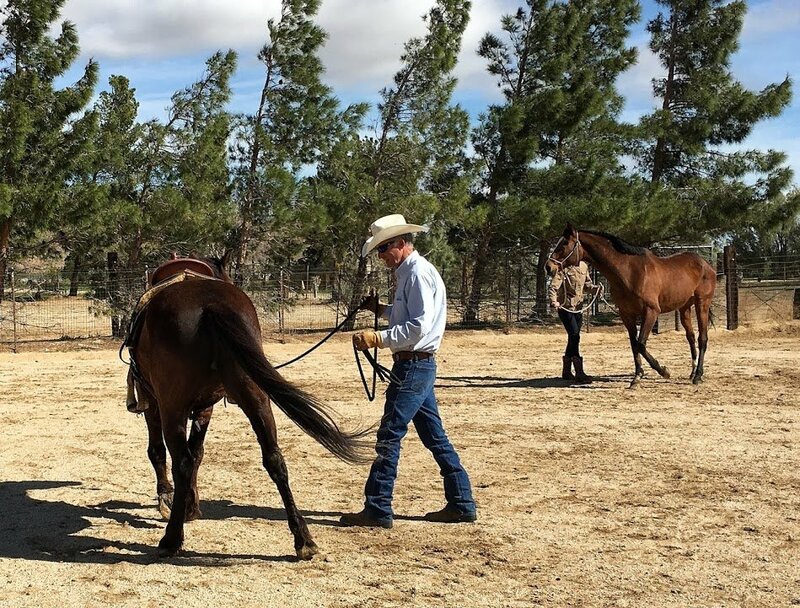 Using these principles, Warwick believes you can develop the techniques that work for you to build your horsemanship. Do you have a bucket list? 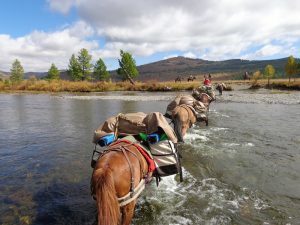 Have you ever thought of taking a horseback expedition? How about a desire to travel to exotic places? Have you ever wondered what it would be like to ride a Mongolian horse? After all, the Mongols were one of the first horse cultures. When I began doing this podcast I never dreamt it would go around the world. Through the internet, the show has downloads in over 80 different countries. It is amazing and, just between you and me, I hope some of those listeners aren’t trying to learn English from me. When Keith Swenson emailed me from Mongolia wanting to talk about his horseback expedition rides I was immediately captivated. I’m not sure what your picture of Mongolia is, but mine was a cold, dark, barren place I had seen in a “b” movie. After talking with Keith and visiting his website and YouTube Channel I had a totally different picture. I really needed to know more about his company, Stone Horse Expeditions. Stone Horse has expeditions to Gorkhi Terelj National Park, Mongolia Wilderness, Khan Khentii Mountains, as well as excursions to the Gobi Desert. If you are exploring using the Trans-Siberian Railway you can take advantage of their Train to Ger and experience authentic Ger hospitality and culture.